We have previously published tutorials on How to Create See-trough Effects with both Photoshop and GIMP . This is the 3rd part of our See-through Effects Tutorial Series. 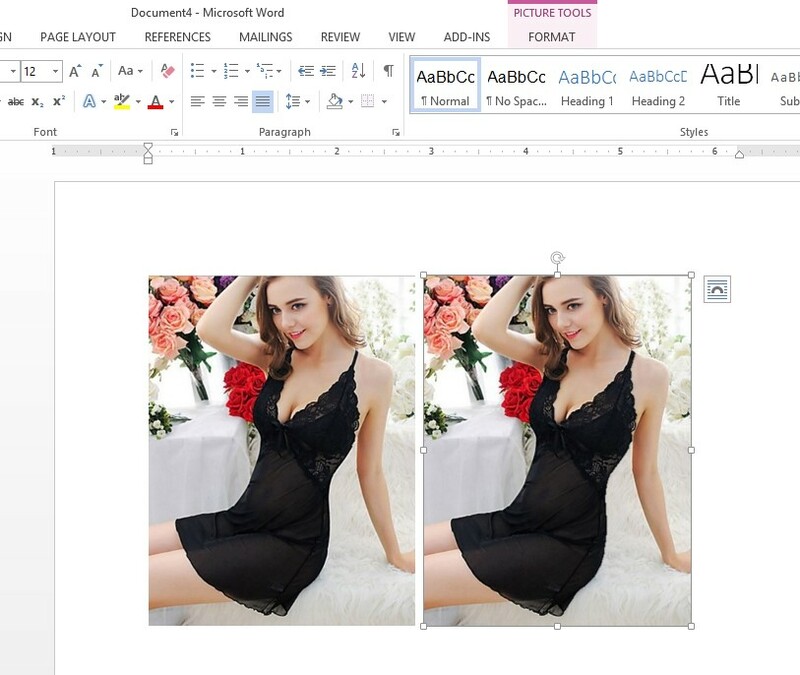 But have you ever heard or imagined that you can also sneak through clothes using Microsoft Word? Don’t be astonished, the answer is “Yes”! 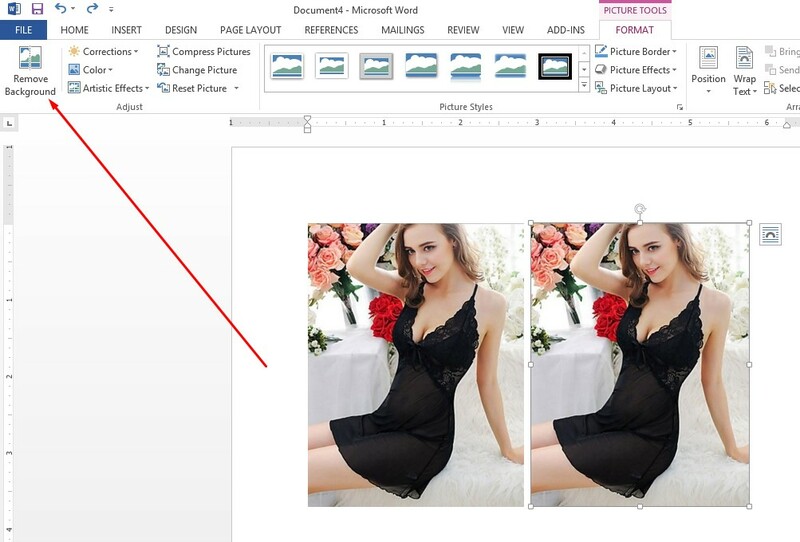 If you follow this tutorial you can do this image editing job even without knowing any function of tools. You may not have Photoshop or GIMP. But, you certainly have Microsoft Word installed in your PC or Mac. 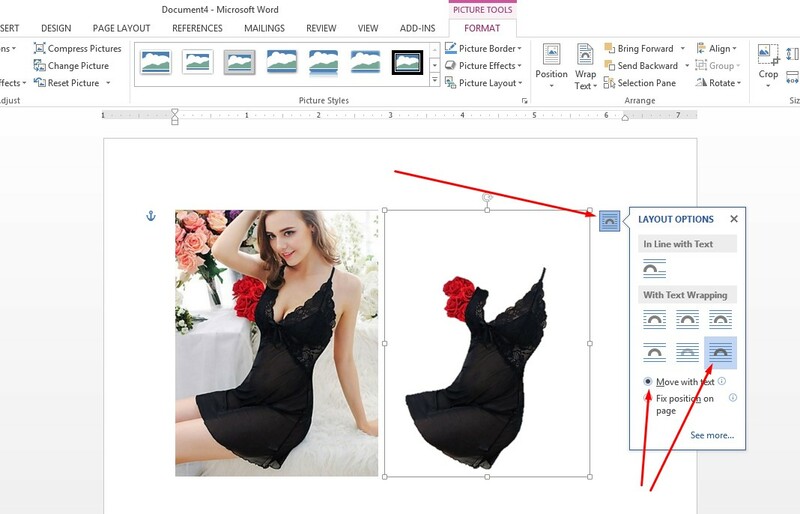 However, if you want to work reading this tutorial, the minimum thing requirement is that you have to know the Picture Tools and it’s operations in Microsoft word. 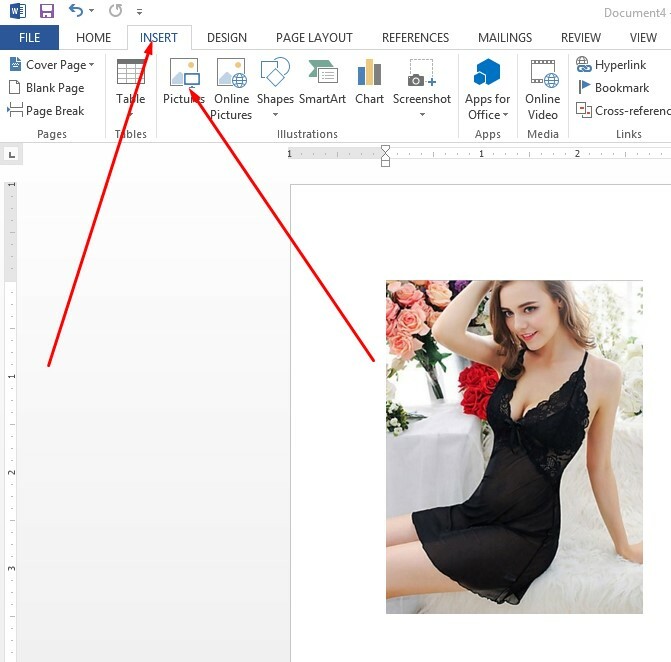 As it is a simple thing, we think you can do this sneaky see-through cloth effect in MS word very easily. Image selection for this type of work is very important. 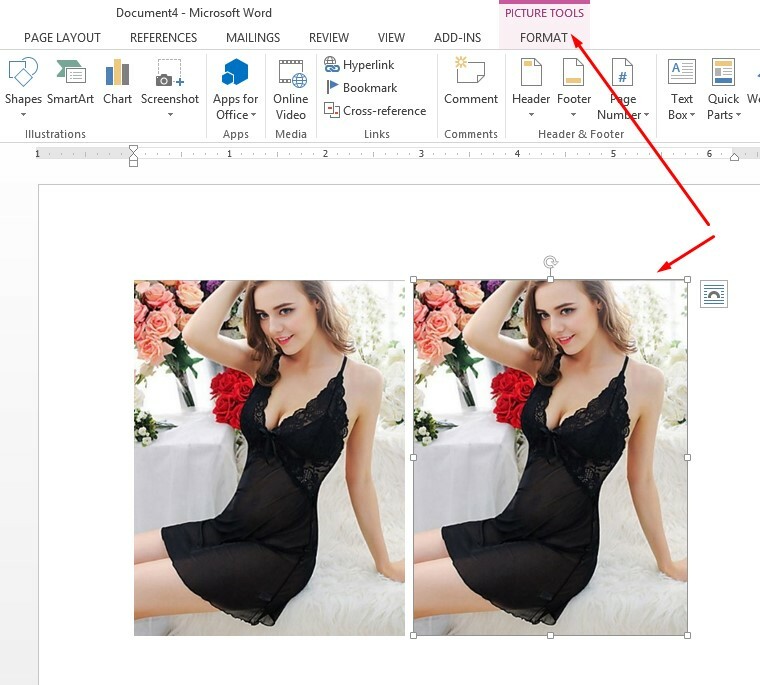 You can select images with thin clothes for best see through result. Actually, we want to mean that the image must have hidden pixels where the skin and clothes’ pixels color blend in specific ratio. If the clothes’ color is deep, it is hard to get the see-through or x-ray effect. See the attached image we have chosen for this tutorial and follow the step by step techniques. 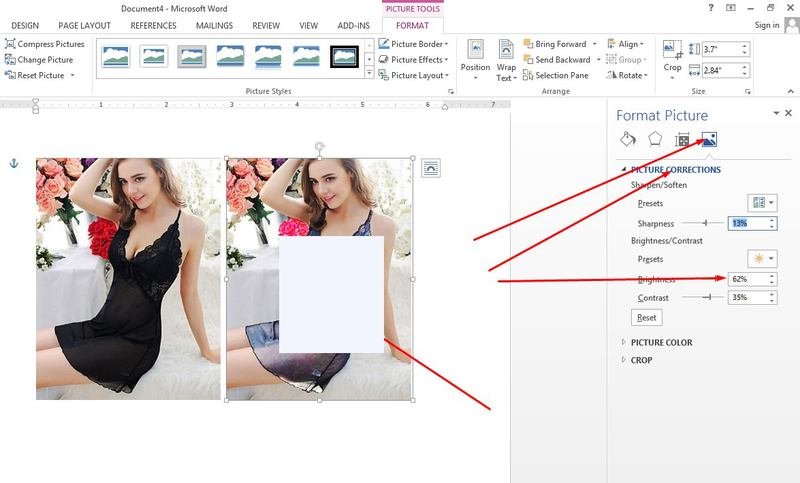 Open your image in Word file going to Insert option from the top menu bar and click on Pictures. You will get image gallery and click on your image so that it gets inserted. Now, zoom the image and copy it and place just beside the first image. Click on the second image to get the Picture Tools Format option and click on it. Look at the image below. Then, you will get Background Remove option and click on this option. 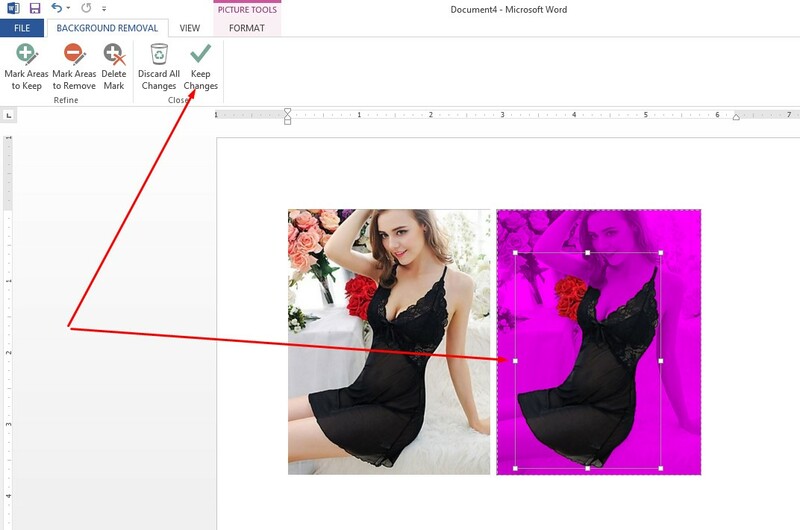 When you click on Background Remove option, you will get your second image selected with pink color. There will be a cloth selecting option. Just drag it and position around the image. Though it is a rectangular in size, try best to select only cloth. Finally, click on the Keep Changes to remove the background or extracting the only cloth portion. See the image below. You should get a background removed image like the below one. Then, click on the removed background image that means on your second image and you will get Layout Option as we have shown you by red arrow at top-right of the below image. Click on it to get more option and select the last one, click on Move with Text option. We hope you should get enough idea from the below image. 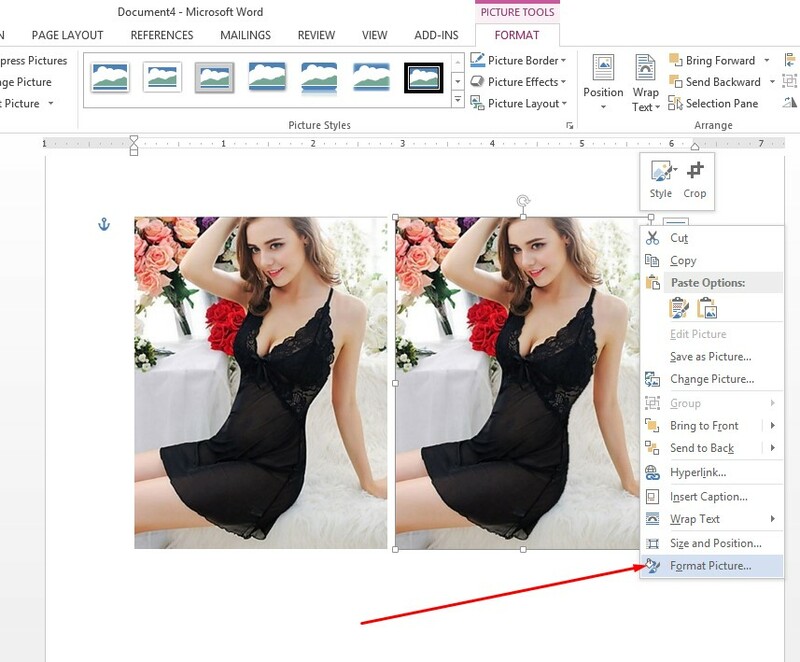 Now, pressing Ctrl, just drag the first image onto the second background removed photo (Here, the first image will be copied automatically and overlap the second background remove picture). You should have image same as the below image. Click the right button on the second image, you will get Picture Format option and also click on it. Click on the Picture icon to get many options. Then, click Picture Corrections and you will get Sharpness, Brightness, Contrast, etc. slides. Firstly, move the Brightness slide, you can feel the difference when you will look at the second photo. Move other slides for more perfect see through cloth image. 10. The below photo is the final photo of our experiment. Look at the image, perfectly you can see skin through cloth. We have also included a before-after image for better understanding. So far so good. We hope that you are successful to do the job following the technique we have described here. But, still if you feel any problem, you can contact us. We will provide you this work as a Free Trial without cost. Besides this, we have been providing all kinds of image editing services such as background removing service, clipping path, photo restoration, color correction, image masking, bulk product photo editing, etc. We have an experience graphic designers’ team who are working all the year log for giving you the best quality photo editing services at the most competitive price packages. Try us.